Each week we will have a different “Question of the Week” for our students to answer. Student responses will be shared on the blog each Thursday. Week #5: What are your plans for the 5 day weekend that you will have over the Thanksgiving holiday? I am headed home Tuesday through Friday night to spend time with family and eat a TON of great food. Friday night I’ll drive back to Columbus and beat all the traffic for the Ohio State vs. Michigan game on Saturday! Go Bucks! I’m going to be spending as much time with my family as possible! I am also going to head out on Thursday night and venture into the craziness that is Black Friday shopping. Question for Week #6: What is your favorite place to study for finals? Answer this question here. 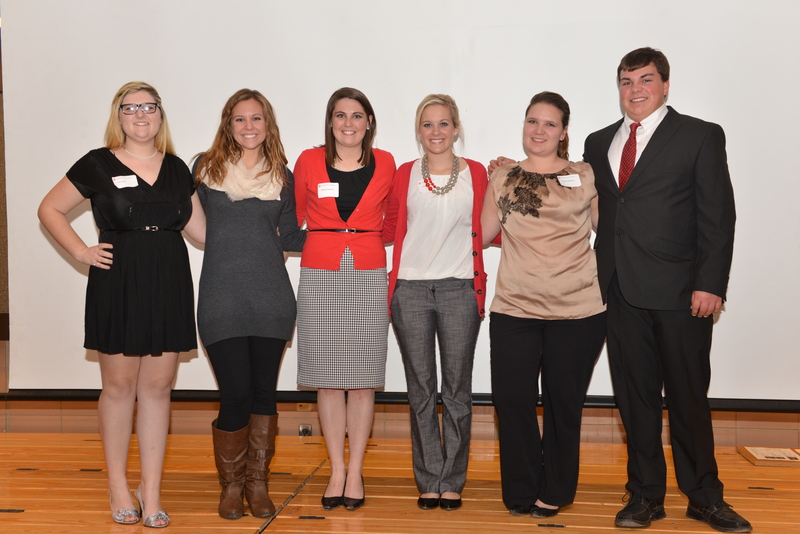 At the Agricultural Education Society Fall Banquet on Tuesday, November 18, 2014, the new officer team for 2015 was introduced. Each of these students answered a few questions so we can get to know them. Please see their answers below. 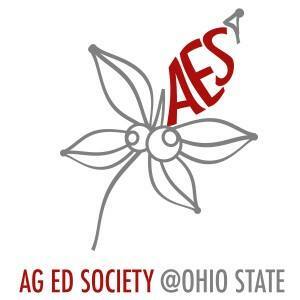 For more information on the Agricultural Education Society at Ohio State, visit their facebook page. ​What are you excited about for your new role with AES? I am most excited about finding new opportunities for AES members to become involved and advocate for agriculture and agricultural education. Why did you decide to join AES? I originally joined AES because, as a freshman, I was looking for an organization that was welcoming and supported my major and interests. Why did you choose your major?​I chose to major in Agriscience Education because the classes and experiences that I was able to have as a high school agricultural student truly made me who I ​am today. I want to be able to help other students find their passions through agriculture. What are you excited about for your new role with AES? I am looking forward to strengthening the membership of AES and having the opportunity to get involved on a higher level. I am excited for the new year with an awesome officer team! Why did you decide to join AES? 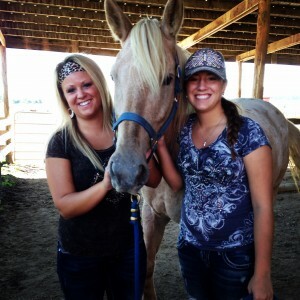 I decided to join originally my freshman year because I am an AgriScience Education major and wanted to get involved. Why did you chose your major? I was involved in my high school agriculture class and I loved every minute of it. I enjoyed learning about things that are useful in everyday life. I also think that it’s important that students are educated on how to take care of their environment, animals and that they know where their food comes from. What are you excited about for your new role with AES? I am really looking forward to getting to know everyone in the club better. This is my first year so I also can’t wait to see all the great activities that we do! Why did you decide to join AES? I originally joined Ag Ed Society because it was my major and I wanted to get to know other future educators as well. I thought it would be a good way to make a lot of connections! Why did you chose your major? I originally majored in animal science pre-vet, but I decided it just wasn’t for me. I always wanted to be a teacher and I love agriculture so I put the two together and it was the best decision I have ever made! I am so excited to see where it takes me! What are you excited about for your new role with AES? Improving fundraising activities/opportunities to increase our finances. 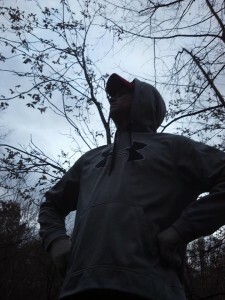 Why did you decide to join AES? I enjoy my major and wanted to be more engaged with others in my major/ department. Why did you chose your major?​ I am interested in education within the agriculture industry. What are you most looking forward to about serving AES in your new officer position? I look forward to getting to help promote AES through news. I am excited to work with everyone on the team to make AES stand out. Why did you decide to join AES? Since it is the club of my major, I imagined it would be able to help me in areas outside of what I learned in the classroom. Why did you choose your major? 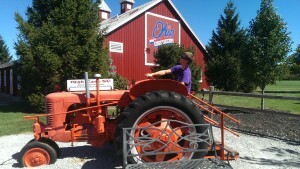 I’ve always wanted to teach, and agriculture runs in my blood. Not to mention: so does the major. I’m very passionate about it, and I hope I can help others see all that agriculture is, someday. What are you excited about for your new role with AES? I am looking most forward to getting to know everyone in AES. Also I am looking forward to working with the CFAES Council. Why did you decide to join AES? I decided to join AES because of my chosen major and because I could meet new people in my future career. Why did you chose your major? ​I choose to major in AgriScience Education because I want to make the positive difference in the lives of students just as my high school Ag teacher did in mine, also because I had a great experience as an FFA Member, and want others to experience that as well. As the time rolls around where we students get to sign up for new classes you might be thinking to yourself, what do I want to take this semester? Of course, you want every class to be interesting, and that is usually the case with courses in your major, but what about all those gosh darn GE’s? You heard from this friend this class is easy, and from your other friend that class is hard. As cheesy as it is, every student has a yearning to take classes that help them grow, though it might be buried really deep. This semester for my second writing course and final GE, I chose Agricultural Communication 2367. Coming from a background completely absent of agricultural roots, it shocked many of my friends why I would take such a class, but I haven’t regretted it for one second. Not only has this class helped me enhance my writing style and range of writing skills, but it also influences very important areas of my life that I first overlooked. Studying contemporary and often controversial aspects of agriculture topics, such as fracking or GMOs, a whole new world of viewpoints I haven’t even thought about has presented itself to me. One of the main reasons for this is the fact that the class is mainly comprised of students from agricultural backgrounds, who really have firsthand experience and informed opinions on these topics. Along with my colleagues, we have brought in several guest speakers who are experts on our areas of interest. Altogether, it really has provided a basis for much more critical thinking on my part, which is always a positive to take out into everyday life. Another great aspect about this class is the fact that the issues are contemporary, as well as tangible, as in GMOs affect not just the nation’s food supply, but my personal supply and diet as well. That is the advantage the College of Food, Agricultural, and Environmental Sciences holds over all other schools, it affects everyone in daily life, including you! Agricultural tourism can establish the foundations to understand the world of agriculture. Opening a whole new world to growing individuals, and allowing them to determine the importance of a business, a business that has been at the foundation of society since the beginning of man. As the members in the agriculture sector the responsibility to spread this knowledge to our youth across the country, falls directly on our shoulders. No longer can we have children grow up and not understand the duties of a farmer; no longer can we allow children to sit down at the dinner table and not wonder where their food came from; no longer can we allow a society that shrugs off the work of the local farmers. Growing up in California, I was emerged in a society that was supposed to be an agricultural power house for the United States. Despite living in a state with great agricultural power, I was tucked away from ever understanding the duties that my local farmers performed on a daily basis to provide food for my family. Day in and day out, I was part of a world I had no idea I was a part of. Consuming the food provided for me by the thousands of people that make up the agricultural sector of my community. I didn’t know nor did I care of the world that was secretly the biggest part of my life. Click on the infographic to see what part of California your food comes from. Spreading agricultural tourism across the nation will allow all children to become exposed to the world which runs their lives. In doing so, we will generate a population that is willing to increase the power and status of agriculture. 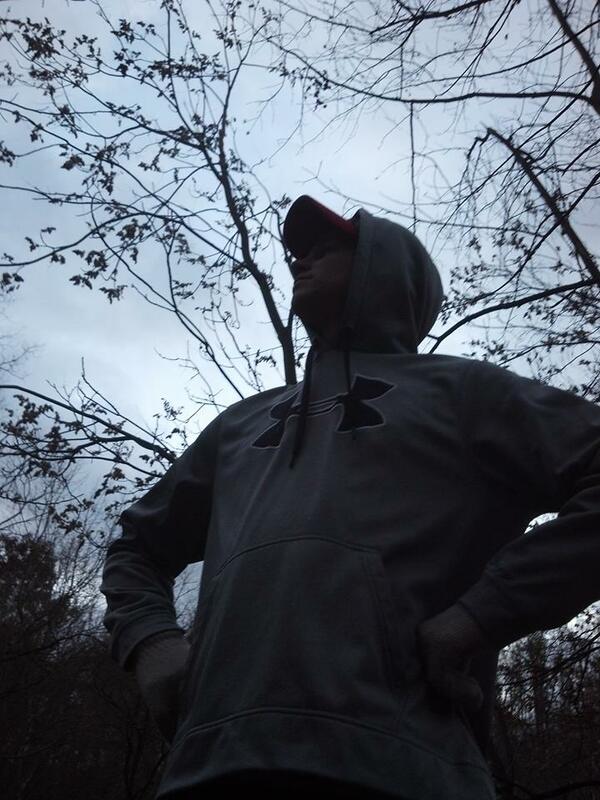 Adam wrote this blog post as part of an in class assignment for the Agricultural Communication 2367 course. All opinions are his own. Week #4: What will you do to cheer on the Buckeyes during Beat Michigan Week? I will cross out all the M’s on my papers and avoid using them on social media! Go Bucks! Watch the Bucks lay the smackdown on Michigan at Home! Question for Week #5: What are your plans for the 5 day weekend that you will have over the Thanksgiving holiday? Answer this question here. Over the past two years, the Department of Agricultural Communication, Education, and Leadership has nurtured a partnership with the Linden community in Columbus. In an effort to promote community and youth development, several programs have been established. During the summer months a small, 4-H club was established to teach the Linden youth (ages 14-18) leadership, gardening, nutrition, and community service. The youth completed a variety of learning workshops including a nutrition scavenger hunt, HANDS CPR training, and hours of hands-on gardening. 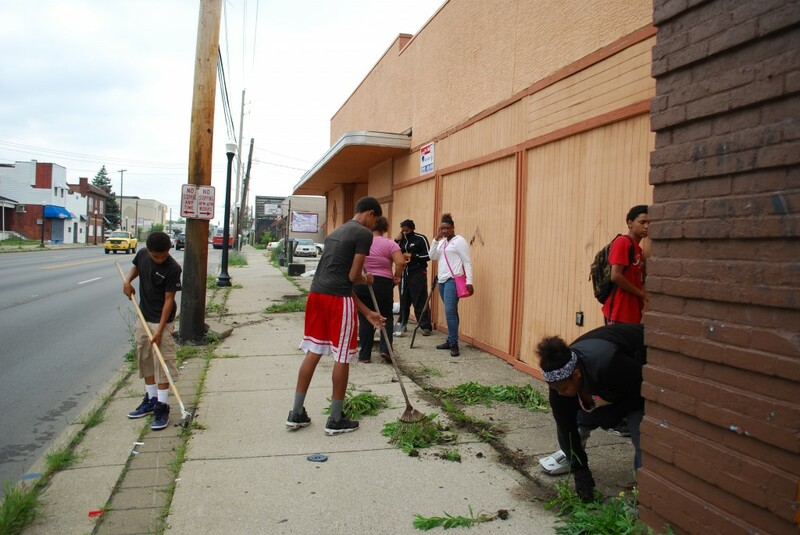 In addition, several community service events were held which the youth helped to organize and facilitate. Now that the summer is over, a new community-focused program is being developed and piloted. Within the community of Linden, access to fresh, wholesome food is limited making it difficult to obtain food for a healthy lifestyle. 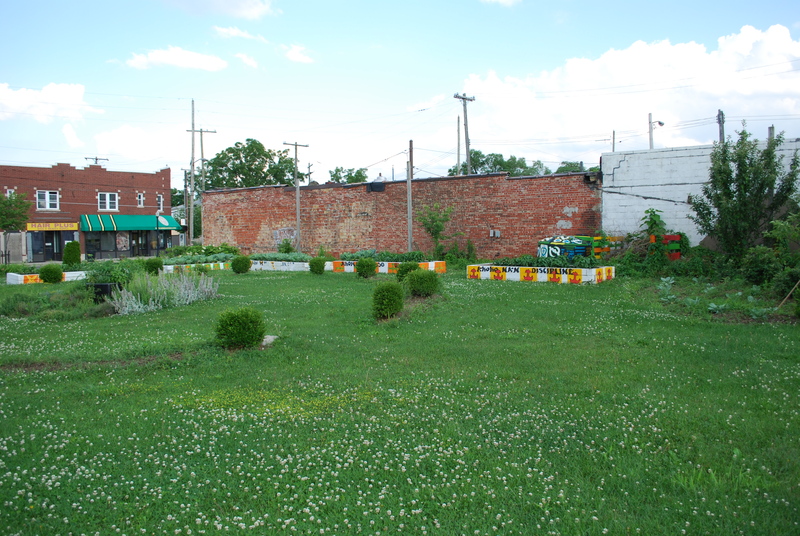 As such, a Community Supported Agriculture (CSA) program has been developed and pilot tested in Linden. The CSA program and Farmer’s market provides fresh, healthy fruits and vegetables to the community. During the pilot test, outside produce was brought in from local producers to gage the interest of the community. The Linden Community Farmer’s Market was held for three weeks in October starting at the annual Cabbage and Greens Festival. Community members were very excited about the program and expressed significant interest in using the program. After evaluating the three markets in October, it was decided that the program will start back up in April 2015. 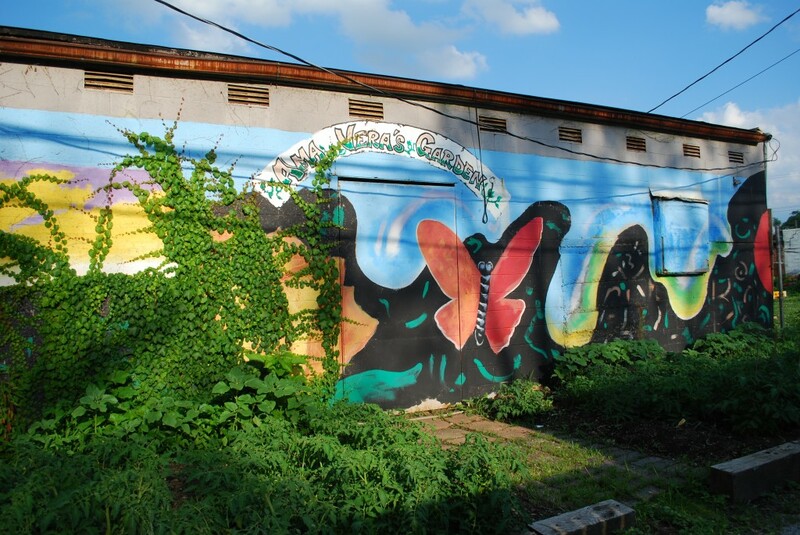 Plans are in place to include acceptance of SNAP-ED benefits at the market and grow 50-80% of the produce sold at the Linden community garden, Ama Vera’s Garden. Until April, 2015 the CSA and Farmer’s market will continue to be organized and planned for the next season. Plans are also in place to host three workshops on college and career readiness in the community. Topics covered will include college applications, scholarships, FAFSA, resumes, and interviewing. These workshops will be held starting in January 2015 and will continue through February 2015. If readers have any questions about the Linden community programs or would like to volunteer please contact myself (breuler.2@osu.edu) or Dr. Gary Straquadine (straquadine.5@osu.edu). Becoming a student at the Ohio State University was amongst one of the greatest choices I have ever made. Being only a sophomore, I have gotten to experience so many exciting things and have learned more than I could have ever imagined. For my agriculture communication class project, we were required to visit a place of agri-tourism, learn more about their marketing techniques, and ways of educating city folks who don’t get to experience everyday life on the farm. My friend, Kandace, and I chose to tour the Marmon Valley Farms, in Zanesville, Ohio, and learn more about their way of generating agri-tourism and agri-tainment. As we drove up the long, winding driveway, on our way to the ranch, on the beautiful fall day, my friend and I were so eager for this experience. As our tour guide greeted us, she was more than excited to show us around. We began our tour around the farm by walking through all of the sites, there were many barns filled with fun games and activities, other barns were filled with animals waiting to be petted. There was something for everyone to do of all ages and backgrounds. However, the barns filled with animals and games weren’t the extent of all the activities. One of the kids’ favorite things to do was to ride the horses. 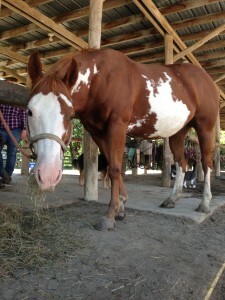 Marmon Valley Farms houses over 150 horses, which were all rescued. On sunny afternoons the kids get to ride a horse of their choice into the hills of Bellefontaine, Ohio. Kandace and I got to do many different things while we were thing, amongst our favorite, getting to pet all 150 horses and watch them interact with one another out in the pasture. I’m really glad I got to experience this version of agri-tourism, as it was something that I never had done. It was really a neat experience. I learned a lot about agri-tourism and agri-tainment, and that in order to be successful; you must have entertainment for all types. Even though the Marmon Valley Farm’s main goal was to give the kids the experience of riding horses along with the “farm-life experience”, you must include all different types of activities, for all of the different young interests’. The weather was nice, the horses were beautiful and altogether, our Friday afternoon at the Marmon Valley Farm couldn’t have been any better. 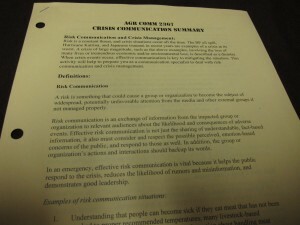 Lindsey wrote this blog post as part of an in class assignment for the Agricultural Communication 2367 course. All opinions are her own. Today’s section of WHAT’S INTERESTING will be covering the agricultural communication class. Why an agricultural communications class you say? WELL, that’s because this class has cranked up my thought engines, in the creative way. First week of class, we are forced to learn about high school grammar, AGAIN. Since reiterating learned material is boring, she decides to show a video entitled “The parts of speech rap”. Huzzah, short and simple, fast and easy. Mission accomplished. Second week of class, she talks about descriptive writing. Deciding slides were utterly boring, she shows two videos. One is an upbringing take on agritourism and how it positively affects agriculture as a whole. In death-defying contrast, the other is a Weird Al Yankovic video making fun of the Amish (It was an example of agritainment). After the video finishes, she puts on a smile, ignores why such a death-defying contrast is presented and then she tells us to write our opinions as the end of the class. Teaching, Done, Right. Fast forward a fortnight ahead, she starts talking about fracking. She brings up another two videos to skip any boring long dragged out discussions. First video: Fracking is good and safe, backed up with science. Next video: Fracking is bad, backed up by about 5-7 minutes of an overly emotional lady needing to sell her house away because the ground around her area is toxic from fracking. Dr. Filson does something right here, she makes students think. Teaching should be about encouraging the thought process because then, the creative engines start rolling. It shouldn’t be about attending class and going through material because attendance is required and taught material is an obligation. Moving on from Dr. Filson, WHAT’S INTERESTING about this class too is the guest speakers. There’s an invited speaker about every class. 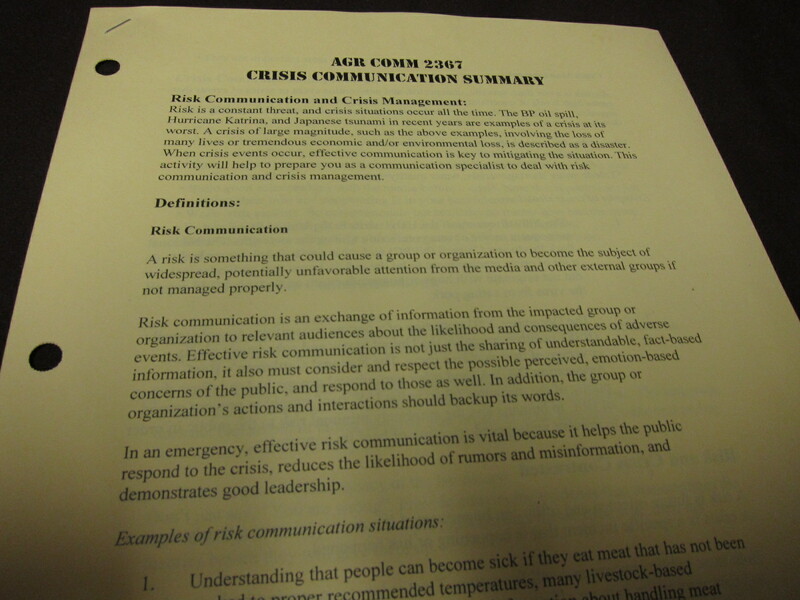 From crisis communication (I personally don’t understand why an introductory class prepares you for failure) to GMOs, this class has taught me a lot about agriculture and the agricultural background. Now here’s the smart thing, they (the CFAES) know students won’t listen to guest speakers because they understand 2 hours of class on a Monday morning is horrible. SO, they give you assignments on these topics. Assignments force you to relearn the topics through google on another more convenient time. The only downside is that assignments are annoying but, bah, such is student life. That’s all for today’s section of WHAT’S INTERESTING. I won’t be blogging anytime soon so goodbye for now. Jin wrote this blog post as part of an in class assignment for the Agricultural Communication 2367 course. All opinions are his own. Week #3: What general education course would you recommend to other CFAES students? I would recommend taking Classical Mythology 2220 with Dr. Lopez-Ruiz. This course counts as Literature credit and as a Global Studies credit. I really enjoy this class because I love Greek mythology and I’ve learned a lot about the mythologies of other ancient cultures. Question for Week #4: What will you do to cheer on the Buckeyes during Beat Michigan Week? Answer this question here. Last summer, I had the honor of interning for Trupointe Cooperative in their Marketing Services department in Wapakoneta, Ohio. I had such a great experience working with customers as well as fellow employees and I gained knowledge that is not found in the classroom, but can only be gained in the real world. My first day, I sat down with my manager and she proceeded to explain some of the jobs I would be in charge of this summer. I was terrified. Not only did it consist of working in programs I had no experience in, but I also had to create weekly plot updates that would be sent out to the employees. I left that day thinking there was no way I was qualified for this internship. I had only just completed my freshman year of college! Boy, was I wrong. After several weeks I got the hang of things. I was able to work in programs such as Adobe InDesign and Photoshop, as well as dabbling in web and video design! I also spent time out of the office and in the fields taking pictures of the progression of growth in corn and soybeans and writing about the differences based on different starter and foliars that were applied. 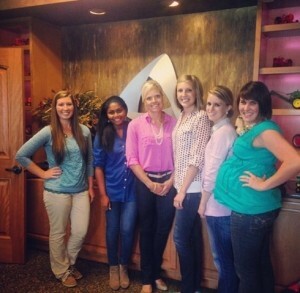 Karli, far left, and coworkers. Looking back on the months spent with Trupointe, I feel blessed to have been given the opportunity to work with such great people and learn the things that I did. I learned so much about the ag marketing industry and how important our job is as ag communicators to make sure we are sending the right message. It is our responsibility to gain knowledge in agriculture and share it with others in a manner that not only makes sense, but that will also spark interest. Working with Trupointe has given me the experience and knowledge to better communicate with men and women about agriculture and I am thankful for the opportunity I had with them. Thank you Karli for sharing your internship experience with us! Many of the posts on this blog will be written by the students, faculty and staff in the Department of Agricultural Communication, Education, and Leadership at Ohio State. We hope that you will enjoy the postings and learn about the great things happening within our Department.